This is the most recent information about Soundgarden that has been submitted to amIright. 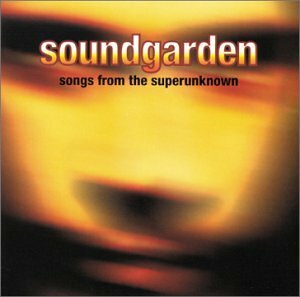 If we have more information about Soundgarden, then we provide a link to the section where it appears (the actual page whenever possible). 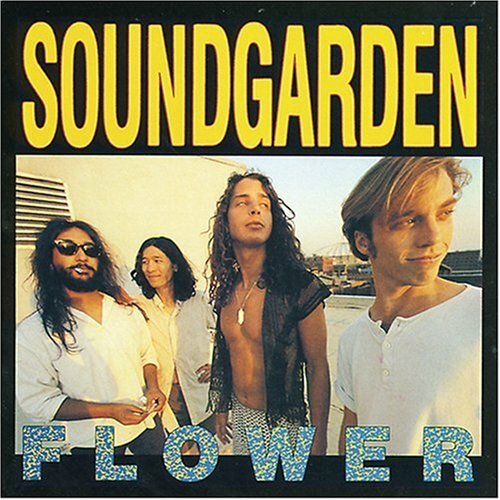 Did you hear about the guy on the beach who did a really bad Soundgarden cover? He left his vocal talent in the sand, just a burden in his hand. Chris Cornell was at a music festival when he tripped and almost landed on Billie Joe Armstrong, Mike Dirnt, and Tre Cool. Luckily, he managed to catch himself. Why? Because he fell on black days, not Green Day. There are additional Soundgarden literally impossible song titles available. "Pretty Nose" originally "Pretty Noose"
"By Cooked Steps" originally "By Crooked Steps"
"Petty Noose" originally "Pretty Noose"
"The Day I Tried To Lie" originally "The Day I Tried To Live"
"Back Hole Sun" originally "Black Hole Sun"
"Broom A Thousand Years Wide" originally "Room A Thousand Years Wide"
... And I STILL missed a spot! "Black Whole Sun" originally "Black Hole Sun"
"Black Hole Stun" originally "Black Hole Sun"
"Black Hole Spun" originally "Black Hole Sun"
"Black Hole Sunk" originally "Black Hole Sun"
"Eyelid's Month" originally "Eyelid's Mouth"
As sensible as original title! "My Cave" originally "My Wave"
"The Day I Tried To Give" originally "The Day I Tried To Live"
"Burden In My Band" originally "Burden In My Hand"
That's why Chris Cornell keeps quitting them. "Fell On Blank Days" originally "Fell On Black Days"
There are additional Soundgarden song titles with a letter changed available. There are additional Soundgarden song parodies available. 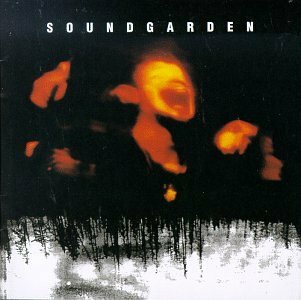 There are additional Soundgarden on hold music ideas available. 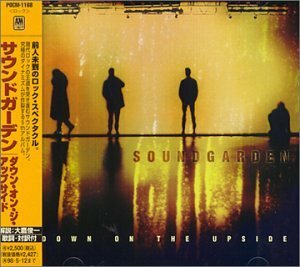 There are additional Soundgarden duets that haven't been done yet available. I'm surprised no one's thought up this one yet! Because nobody suggested a better name for Audioslave, here's one for you. A real group that formed for one song, "Right Turn" on the Sap CD. The "Mud" part comes from Mudhoney. There are additional Soundgarden Combined Groups that haven't been done yet available. There are additional Soundgarden misheard lyrics available. I sure don't mind the change. There are additional Soundgarden misheard stories available. This line seems to contradict itself. I just think the line 'I do myself' sounds funny. 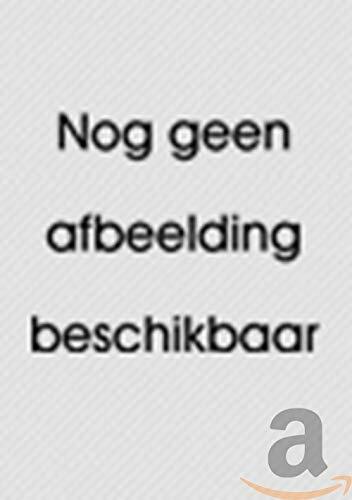 There are additional Soundgarden Funny lyrics available. But I surely mind the repetition of the line. Nobody knows their own fate. I thought Chris would have known that by now. There are additional Soundgarden repetitive lyrics available. I didn't know states could be adjectives. Exactly how does one talk THROUGH cream, much less talk to it? There are additional Soundgarden nonsensical lyrics available. Kickstand, you got loose and I threw up. And you stare at me in your Jesus Christ Pose. "Black Ho Le Sun" originally "Black Hole Sun"
"Label Candy, Folks!" originally "Fell On Black Days"
So that the buyers know what kind it is. 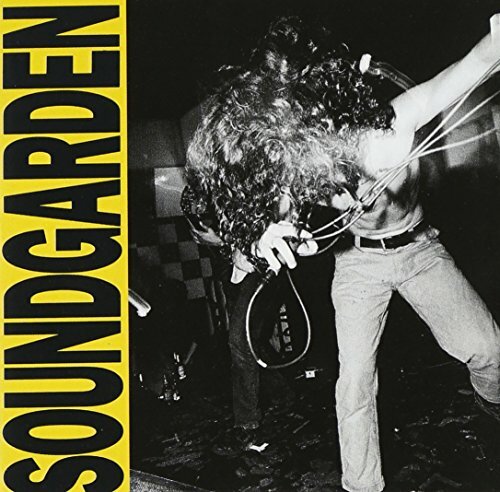 "Sally Blocked Fan" originally "Fell On Black Days"
"No Blue Chalks" originally "Black Hole Sun"
"Skull On Beach" originally "Black Hole Sun"
"Worn Nun's Puke" originally "Superunknown"
There are additional Soundgarden Song Title Anagrams available. I think that means that he's looking big, but feeling small. The video was banned by MTV because it shows a girl and skeleton crucified on the cross. 667 is basicly 665 in reverse, wich would mean 667 is talking about Santa instead of Satan. "Nitty Pruse" originally "Pretty Noose"
"Why, Maeve?" originally "My Wave"
"Dell On Flack Bays" originally "Fell On Black Days"
There are additional Soundgarden Song Title Spoonerisms available. "Feeling Minnesota", starring Cameron Diaz and Keanu Reeves.